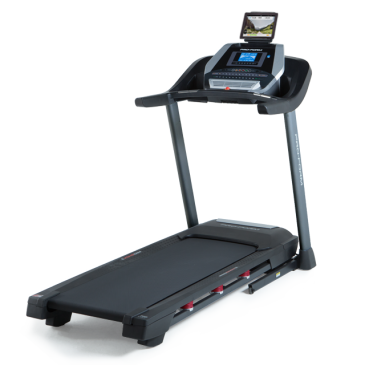 If you are looking for an all-around excellent treadmill that is combined with some top-of-the-range features then look towards the NordicTrack Commercial 2450 Treadmill. Known for their impressive selection of gym machinery, NordicTrack have, once again, delivered top performance enhancing abilities with a fairly cool price tag. The Commercial 2450 has a monster-sized 10” console display. Not only does this console track, in real-time, your key stats but it is also web-enabled and touch screen so you can scroll on your social media sites, or even respond to those work emails. The console also shows your heart rate which is measured by either the CardioGrip sensors or the included heart rate monitor. The 2450 treadmill features an adjustable tablet holder so that you can position your tablet and watch your favourite videos, find new movies and listen to your music, all whilst working out. The full-sound comes from the 3” stereo speakers and doesn’t sound ‘tinny’, unlike many other models that play music. New for 2018, is the Bluetooth connectivity, so now you can listen to music and watch videos without those annoying wires getting in your way. Popular with high-intensity runners, and taller people, the 2450 treadmill features a much larger than average running belt size of 22 x 60”. The WhisperQuiet design ensures that the roller sounds are minimized and so it is ideal if you live in a shared property or flat because you won’t be receiving calls from irritated neighbours. The running deck also features the FlexSelect Cushioning system so that you can adjust the amount of cushioning that you want each time you workout. Switched off and it will feel like you are running on a road, switch it on and you’ll be able to feel the difference of the soft suspension, ideal if you are doing intense training or have joint injuries. 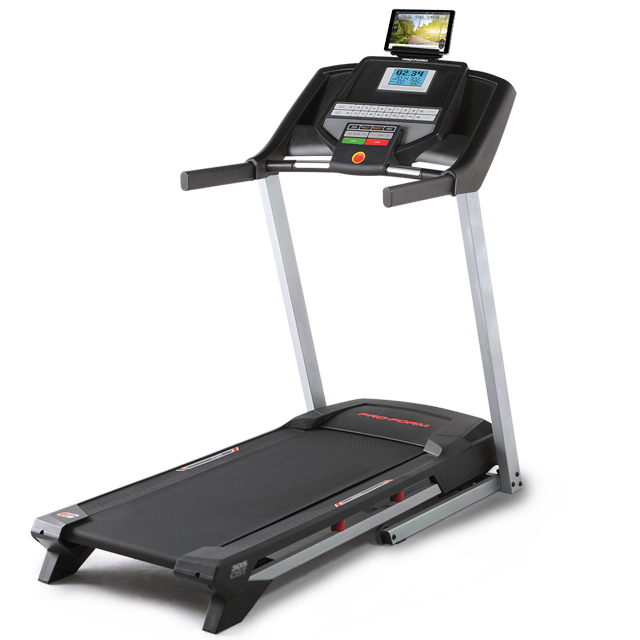 There are still not many treadmills on the market that offer both an incline and decline feature. The 2450 treadmill can incline up to 12%, and although this is less than other treadmills on the market, it is more than redeemed by the -3% decline ability. Now, you can even more realistically practice real-life runs and hill workouts. The 2450 treadmill is bursting at the seams with an incredible 40 built-in programmes which cover: interval training, incline training, calorie burn and speed training. You’ll have virtual Google map tracks and even a series of 20 workouts called the Red Rock Series which take you through the beautiful scenery of Southern Utah. The top speed of 20km/h is supported by a solid 4.0 CHP motor. This is the strongest point of the 2450 treadmill, but if you think that you might find this many options daunting then look at the NordicTrack Commercial 1750 Treadmill which has 38 programmes on a 3.8 CHP motor. NordicTrack have always been conscious of the fact that many of their clients purchase the equipment for home use. The innovative EasyLift Assist telescoping shock helps you lift and fold the deck up if not in use, so it can be easily stored away. The maximum user size is 136kg which is slightly less than other treadmills in the same price range such as the Sole Fitness TT8 Treadmill which can handle a user capacity of 181kg. This powerful piece of machinery is not for the faint-hearted. Suitable for all fitness levels you’ll get the most from this product if you’re serious about training. Your performance progress will develop immensely if you make full use of the many programmes and specialist features such as the incline, decline and cushioning systems built-in.